Vol. LXXVI (2018) - No. 269 Educación en valores para la ciudadanía. Estrategias y técnicas de aprendizaje [Education in values for citizenship. Learning strategies and techniques]. Educación en valores para la ciudadanía. Estrategias y técnicas de aprendizaje [Education in values for citizenship. Learning strategies and techniques]. The basic premise of this book is that not only is educating in values, especially moral values, possible, but this education must be a priority for the formal education system, putting it at the same level as learning other areas of content or the acquisition of professional competencies. This is an arduous and complex task, but no less desirable for it, and it will bring us closer to the profile of the good citizen, necessarily compatible from an ethical perspective with that of the good person. In light of this task, education has an entirely essential role since, as the author states: «citizenship must go hand in hand with priority action in education» (p. 17). Education must, therefore, pay particular attention when planning, designing, implementing, and evaluating education in values. It is not a matter of imposing a dogma that limits the spectrum of education to pure indoctrination, but of spreading humanity with the hope of reaping a more dignified future. Structured in six chapters, this work starts by considering the concept of value, its roots, origins, and evolution, to explain later the basic dimensions that help us better understand its complexity to be able to come to define the existing characteristics, types, and systems of values. In this first part is it is certainly interesting to emphasise the author’s perceptive comments about the increasingly necessary educational pact, the cornerstone of this type of education, as well as the distinction he makes between secularity, secularism, and religion, coming to the same conclusion as Kant that the morality that must exist in a plural society can only be secular, in other words, inde‑ pendently respecting people’s religious beliefs and giving them sufficient liberty to decide about their own lives. These are interesting issues that a book that revolves around values must evaluate, and so the relationship between religion and moral values –as well as other sensitive topics– is present throughout all of this work. In the second part the author argues that there is no education without education about values. And these values, captivated by the values of postmodernity –closer to almost tangible instant gratifications such as pleasure, the present, aesthetics, individualism, etc.– must be reassessed when we work on them. Consequently, faced with postmodernity, the author supports the systematic and planned teaching of certain universal ethical values, an ethics of minima, both as a possibility and through necessity. A task in which, as the author correctly notes, an improvement in specific training for teachers is, among other aspects, vital, as is a greater rapprochement with families, the principal body for providing education in values for centuries. This ethics of minima must include aspects that create greater wellbeing and justice for all, and respect cultural diversity and the content of the constitutions of democratic countries, thereby supporting values like liberty, justice, equality, honesty, solidarity, pluralism, and, ultimately, all of those that make our social coexistence more human. They must always, of course, take into account the fact that civic skills count for nothing if they are not built on a moral system as, «educating citizens cannot be carried out without educating people» (p. 67). After examining what values to educate in, the third part of the book examines in greater depth five of the most common theories about values education: sociological, character education, philosophy for children, developing moral judgement, and clarifying values. We must consider the fact that this book developed from the heart of educational theory, with numerous references to the members of the field, and so consequently a theoretical support on which to base the subsequently developed practice could not be absent. We should not, however, think that we are facing an eminently theoretical book, since one of its strong points is its ability to move from discourse to action, from the most solid theoretical base to the potential pedagogical implications that can be drawn from reading it. Nonetheless, before reaching the most practical section –chapter five– the work pauses to weigh up the current situation and the possibilities concerning the role of education for exercising citizenship itself. This is a teaching that is criticised and can, undoubtedly, be criticised, but the risk of losing the historical victories attained if the tension and effort that has seen them born is not maintained also depends on it. 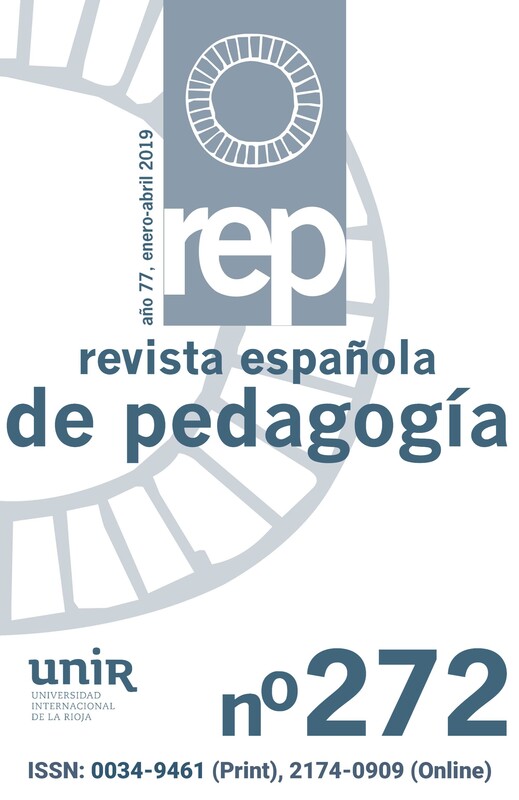 As Pérez affirms «The education system cannot restrict itself to the instructional duties that have traditionally been entrusted to it and remain outside the new circumstances of the current world» (p. 119). Reflections that are certainly pertinent for establishing what is understood by citizenship nowadays in Spain, Europe, and the world thanks to ICT, what its dimensions are (legal, social, economic, civil, etc. ), its levels of involvement, and its educational repercussions in the school curriculum such as, for example, through the use of service learning. Following this journey, we come to one of the most interesting parts of the work: the strategies and techniques for learning about values. Without being exhaustive, according to what objective we wish to achieve (clarifying values, developing the social perspective and empathy, exposure to valuable models, etc. ), the author opens up a range of available strategies before us: listing values, discussing moral dilemmas, word photos, word walls, class assemblies, etc. In each of them a detailed presentation is given of the activity and its objectives, how the technique develops, the role of the teacher and interesting recommendations for applying it. Finally, they are all clarified with a very useful diagram summarising the steps to follow. This is a didactically very well thought through chapter that will guide the reader in applying the selected technique without problems. These are pages that make this book a necessary tool for helping us to educate in values. Finally, supporting the belief that anything that is not evaluated becomes devalued, Pérez closes the book with a chapter on evaluation techniques that are equally applicable and well explained. The task of evaluation is already inherently complex and laborious, it is even more so when covering sensitive aspects such as values, above all moral values. The author is clear about this: «it makes no sense to stop evaluating these processes […]. Evaluation is intrinsic to learning» (pp. 217- 218). This chapter is controversial, as is the whole book given its topic, and the author ends as he started, contributing with his knowledge from a pedagogical perspective that is different from mere opinion to the planning, teaching, and evaluation of one of the most important, if not the most important, facets of the whole process of education. This work will enable readers who choose to appreciate it to make their classes will be more civic, fuller, more human, regardless of the level of education they work at but it will be especially interesting for those working at a pre-university level.